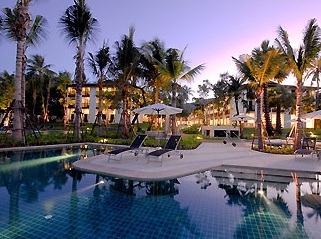 Treat the whole family to a beach holiday at a special price at the Ibis Bophut Hotel in beautiful Koh Samui, Thailand. The “Family Fun Offer” starts from THB1,560(USD52) for a spacious Family Room, buffet breakfast for 2 adults and 2 children, and free WiFi. A 10% service charge and 7% local taxes are additional. This is an on-going offer and available until further notice. Package prices vary by date and will be higher during peak times. The “Family Fun Offer” is based on occupancy of 2 adults and 2 children under the age of 12. Family Rooms are furnished with one double and two single beds plus video games and toys. 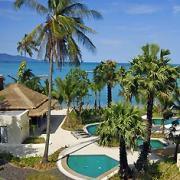 The Ibis Samui is 3-star hotel located right on Bophut Beach, Koh Samui Island. Koh Samui fits the definition of island paradise and activities include snorkeling, scuba diving, water sports, or just working on your tan. The hotel’s 209 rooms have a cheerful decor plus all the comforts of home including satellite TV channels, wireless internet access, and coffee/tea making facilities. 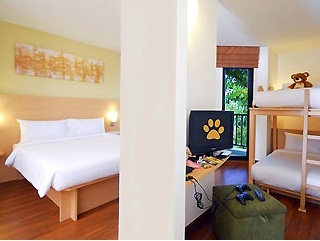 Visit the Ibis Hotel Bophut Samui website for more information or to make an online booking. Bookings can also be made by calling (66)2 659 2888.